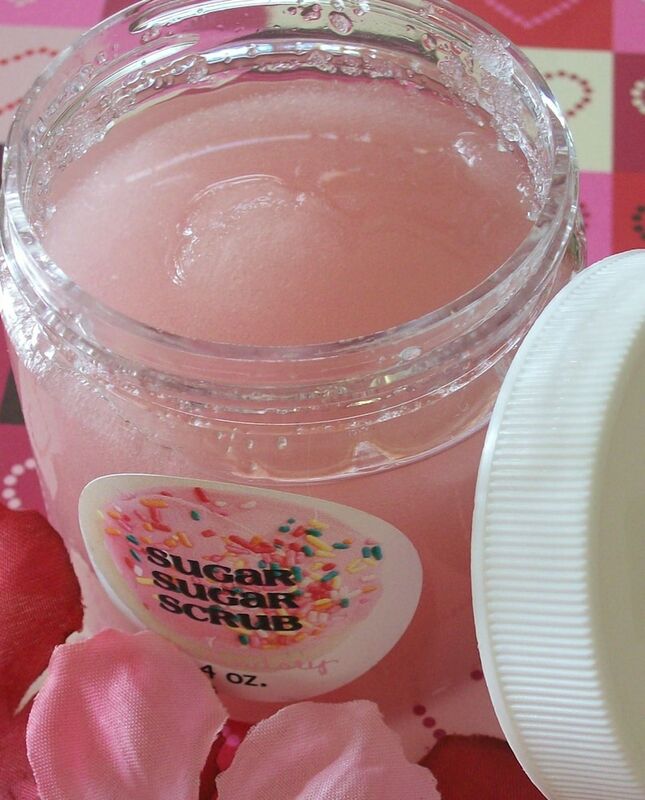 Sugar Scrub Description ---} My 4oz. Vegan friendly sugar scrubs are handmade with natural ingredients in small batches fresh to order. Made with delicious organic sugar, sunflower oil, apricot kernel oil, sweet almond oil, vitamin e oil, fragrance/essential oil and colorant in some. They come with a wooden spoon for easy application in the shower. These sugar scrubs are great for softening your hands, feet or your whole body. Just put a spoonful on, rub & rinse for natural & gentle exfoliation. Works great, especially before a spray tan, or for dry winter skin, or for regular use for fresh glowing skin. ♥ No Chemicals ♥ Vegan Friendly ♥ No Parabens ♥ Animal Cruelty Free ♥ Phthalate Free Fragrance ♥ Made with love in small batches fresh to order ♥ Jar shape or lid color may change with availability.